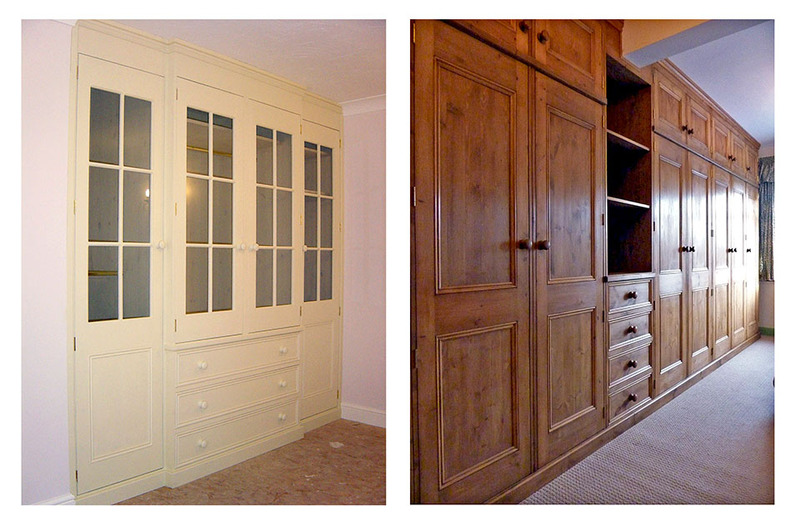 Old Pine Furniture make beautifully hand crafted fitted bedrooms. All our furniture is created for your particular requirements and to your specifications. We can hand craft your fitted bedroom furniture in old reclaimed timber or Scandinavian Pine with a painted or waxed finish. We craft bedroom furniture including chests of drawers, wardrobes, headboards and more. If you want a brand new look for your bedroom, call Old Pine Furniture today.